Service, Quality, & Selection - Since 1941. The Calandro name has been associated with the grocery business in Baton Rouge since 1941 when Brazil and Vennera Calandro opened a small corner grocery store on Government Street. The original Calandro’s grocery was also known as the Plee-zing Food Store. We stock a huge selection of fresh, gourmet, and hard-to-find products. Unmatched Beer, Wine, and Spirits Selection and Expertise. Come visit us at one of our two locations in Baton Rouge! 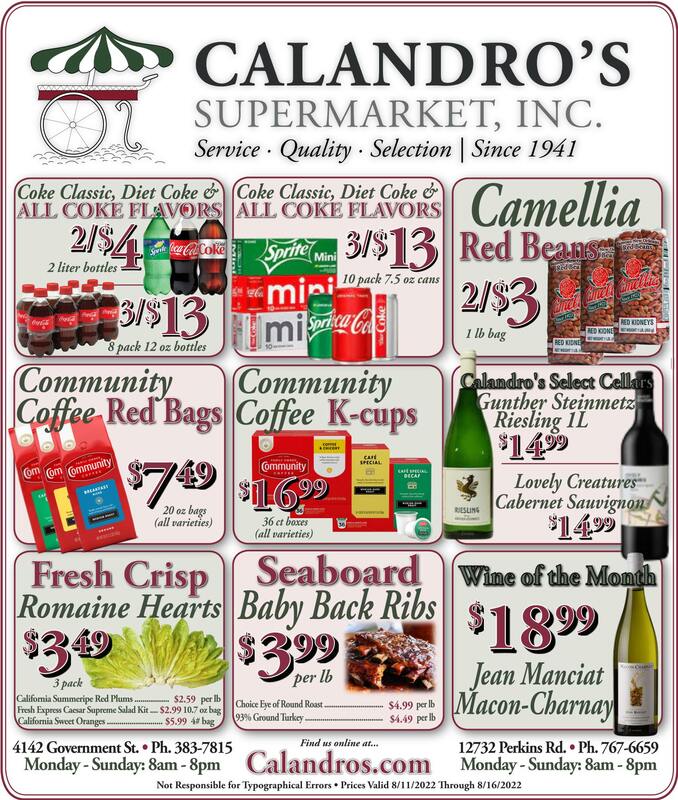 Calandro’s has been a mainstay in the Baton Rouge community for over 75 years. Throughout these changing years, we’ve never lost our focus on service, quality, and selection for the Baton Rouge Community. Come visit us at Perkins & Siegen or in Mid-City!